University of California Press, 9780520231788, 412pp. The Selling of "Free Trade" shows how Washington works to accomplish political or economic goals, even when confronted with widespread popular opposition. 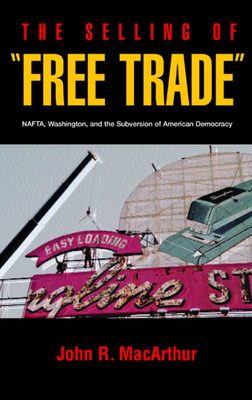 John R. MacArthur chronicles the brutal and expensive campaign in 1993 that led to passage of the poorly understood, highly controversial law creating the North American Free Trade Agreement. John R. MacArthur, publisher of Harper's Magazine, is an award-winning journalist and author of Second Front: Censorship and Propaganda in the Gulf War (California, 1993).